To make the dough: Whisk together flour, sugar and salt. Work in the butter until the mixture holds together when you squeeze it, with pea-sized lumps of butter still visible. Add egg and milk to the dough, mixing it until everything is cohesive. Roll dough into a ball, wrap with plastic and store in refrigerator (up to 2 days). 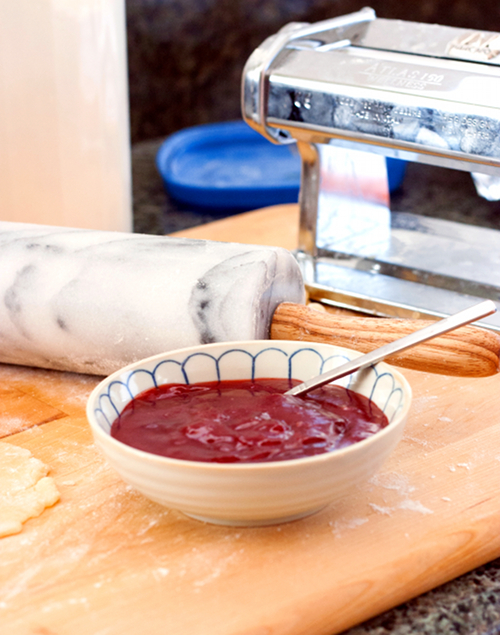 To make the jelly filling: In a small saucepan, combine jam, corn starch and water. Cook over medium heat and stir well, until the mixture thickens. Remove from the stove and cool completely. Preheat the oven to 400 degrees F. Line baking sheets with parchment paper. On a well floured surface, roll out the dough into 1/8-inch thick. Using square cookie cutter (or pizza cutter), cut the dough into 2x2 squares. 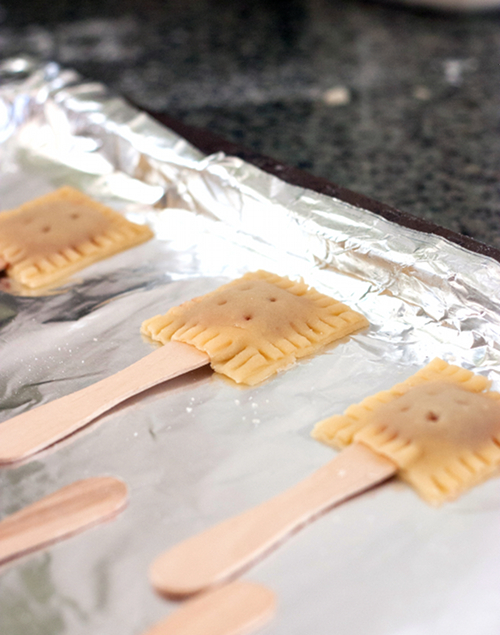 Place a popsicle stick on top of one of the squares, then spoon about /2 teaspoon of jelly filling in the center. Place another square on top of the jelly filling, pressing the edges together with a fork. 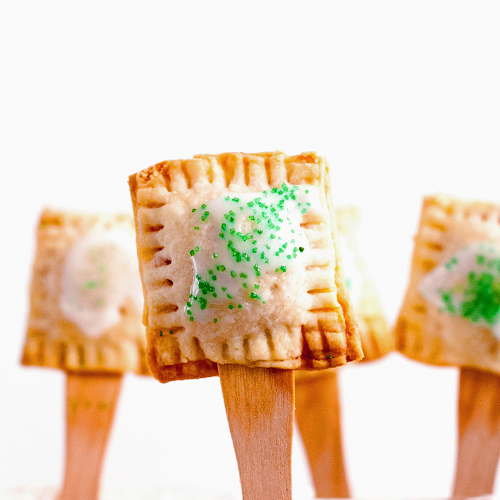 Using a toothpick, pierce a couple of holes on the pop tart. Transfer to baking sheet. Repeat with the remaining ingredients. Bake in the oven for about 8-10 minutes, or until they turn golden brown. Remove from the oven and cool down. To make the glaze: mix powdered sugar and water in a small bowl. 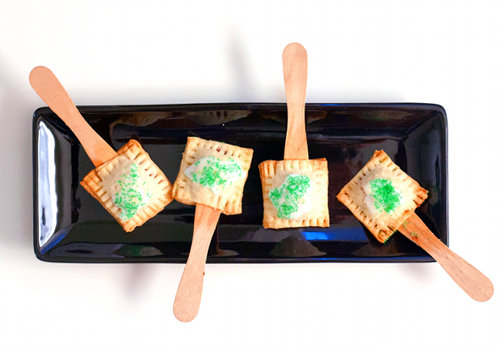 Drizzle over cooled pop tart pops, sprinkle with colored sugar, if desired. 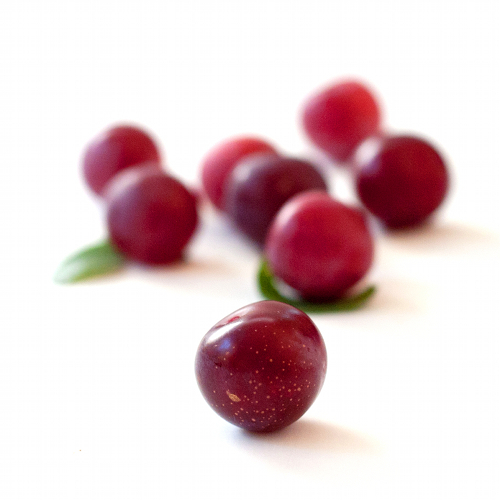 Give a little time for the glaze to harden, then simply enjoy! This is very innovative and fun. Great idea! Aww those are so cute! Great recipe!!! Soooo adorable! I love these.